Governance tools, templates and advice for building and operating a better Board. Having served on over thirty private and public company boards and advised many more, David understands what it takes to achieve better board function. David helps develop and implement governance plans to help boards better serve their stakeholders. 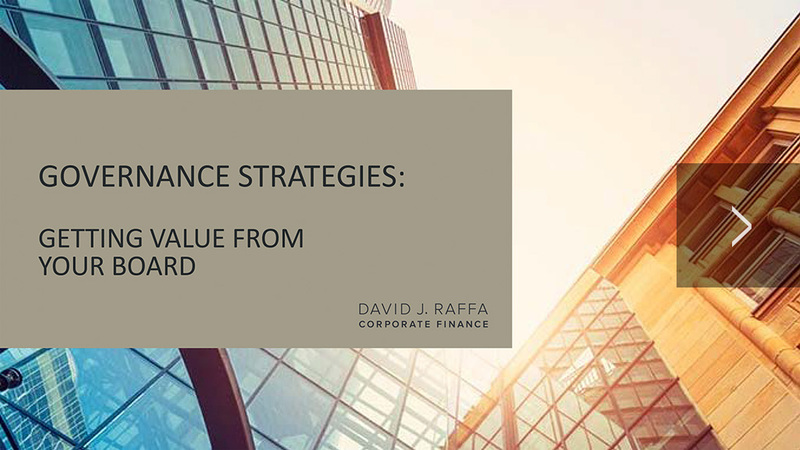 Your board should not be a burden or a hindrance – it should provide value to your organization. Having someone who has been in the cross-hairs and understands not just process, but the practical side of making a board function, is a valuable asset to any organization. Every company and organization is different and so are their boards. Understanding the needs and desires of the stakeholders, the executive and the board members is critical to building a governance strategy that will work for the organization. One size does not fit all.